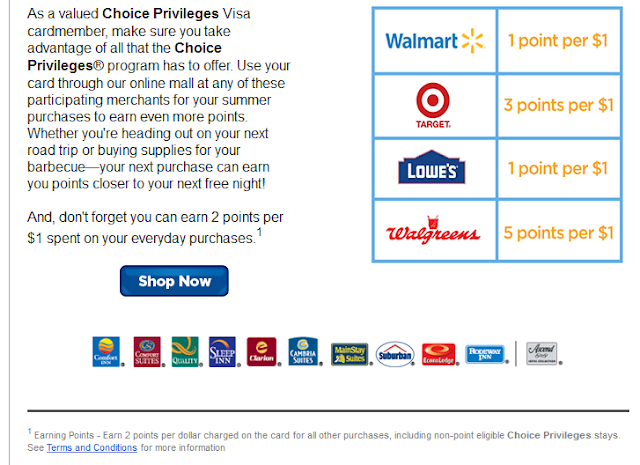 Wow, I get 1 point per $1 I spend at Walmart and Lowe's! 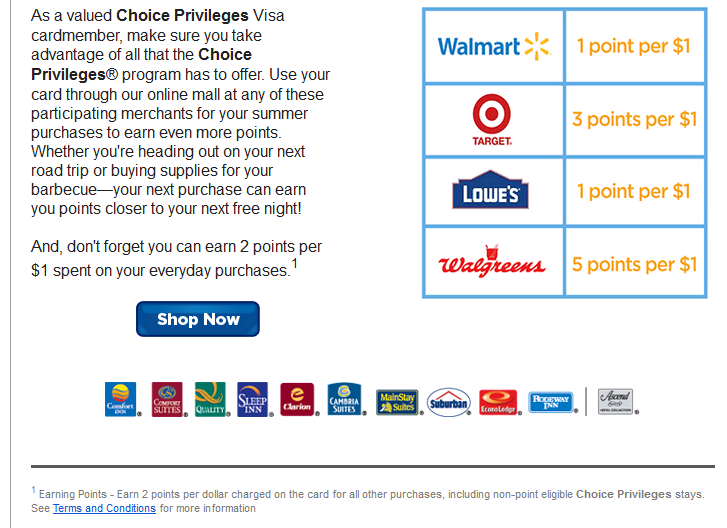 Wait a minute ... look at that last paragraph: "And, don't forget you can earn 2 points per $1 spent on your everyday purchases." Suddenly, this seems a very bad deal. While I normally get 2 points per dollar spent at other stores, I get HALF that reward at Walmart and Lowe's. What??! Why on earth would I want to do that? Nowhere in the email does it state these are bonus points, or that these rewards are earned above and beyond what you normally earn. The terms and conditions the email links to are here, and they don't spell anything else out, either. Thus, I have every reason to believe that this is a disincentive to shop at Walmart and Lowe's.